On Nov. 28, 2018, professor Elizabeth Midlarsky found two swastikas and an anti-Semitic slur spray-painted on the walls of her office in Teachers College. Four days later, an anti-Black slur written on an air vent cover was placed in front of a Black student’s room in Carman Hall. On Dec. 9, a white student harassed a group of Black students in front of Butler Library. These are the events that we ended 2018 with at Columbia. A few days later, the new chairs of Literature Humanities and Contemporary Civilization—professor Joanna Stalnaker and professor Emmanuelle Saada—published two op-eds. The professors addressed the aforementioned events and defended the Core, arguing that the curriculum cannot be cited as the source or catalyst of white supremacist developments on campus. Let me be clear in saying that I believe the Core Curriculum cannot be labeled as the sole or even major reason behind ethnonationalist sentiments at Columbia. I believe other factors are to blame, such as transformations in presidential rhetoric and mass media. And arguably, issues like international refugee crises, modern slavery, and climate change deserve more attention than debates on different pedagogical visions at an Ivy League university. That being said, I deem this debate over the Core Curriculum to be nonetheless important in creating a more progressive learning space at Columbia; I consider the dissent to be necessary in making this local environment a more just version of itself. Thus, I hope to explain why the new chairs of Lit Hum and Contemporary Civilization do not offer a satisfying defense of the Core in their op-eds. First off, neither provides words of compassion or condolence to the students of color affected by the incidents. They denounce white supremacy then immediately contend that connecting the Core to white supremacy at Columbia is, in their view, misinformed and alarming. Yes, assertions of white male superiority, as Stalnaker writes, are absolutely “rooted in ignorance or hatred”—we know that. But are you really more “shocked by the video of the incident” than students of color expressing their rightful anger? Do critiques of the Core alarm you more than, or as much as, expressions of white supremacy to the point that critiquing such concerns deserves more space than condemning, or finding solutions to combat, racism? Saada writes that Contemporary Civilization and the Core are “built on the belief that understanding these texts means locating them in their specific time and place.” We must, then, understand both Lit Hum and Contemporary Civilization in their particular time and space. So, let me talk about the history of Columbia. In 1920, as Stalnaker writes, John Erskine created the General Honors course for a select few. Considering that Columbia was the hub of American social sciences, this means that the Core developed in the midst of those like George S. Huntington, Maurice Bigelow, William Dunning, and John Burgess. Huntington popularized race science at Columbia; Bigelow, a eugenicist professor, was president of the American Eugenics Society; Dunning inspired a racist school of historians that dominated Reconstruction historiography called the Dunning School; and Burgess—Dunning’s predecessor—founded the Columbia School of Political Science that became the Graduate School of Arts and Sciences. Prominent university professors and administrators—including those like Burgess and Dunning, as well as the founders of Contemporary Civilization like Director John J. Coss—vigorously opposed admitting more Jewish, Black, and women students into the University. The creation of Barnard as a Columbia-affiliated institution for the separate education of women originated from this kind of opposition. 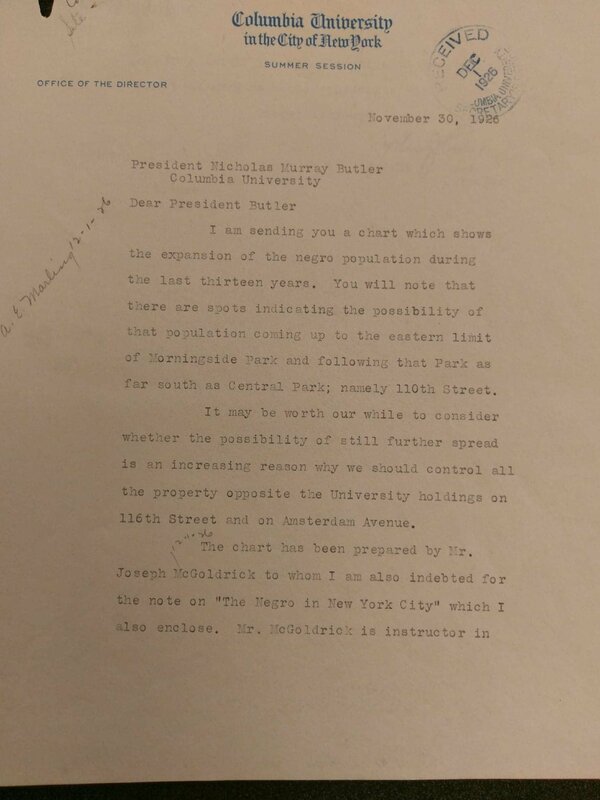 Additionally, in 1926, Coss—lionized by Columbia College’s official website as a model educator—wrote a letter to the University's president, urging him to oppose the burgeoning population of Black people in Harlem by purchasing property surrounding Columbia. Considering the founder of Contemporary Civilization promoted Columbia’s extant tradition of gentrification and displacement, can we still claim that the Core has no roots in white supremacy? But as we can see from its roots, the Core Curriculum does not seek to engage all Columbia College students. For example, under “all approved courses” for the Global Core requirement on the College’s website for the fall of 2018, “Introduction to African-American Studies” is listed first. While Black American identity is, in many ways, connected to the multi-nodal African diaspora, to place this course under the banner of “Global Core”—which has effectively been synonymous to “foreign,” “non-American,” or “the other”—is to claim that the Black American experience lies, and should stay, outside the bounds of mainstream academia. While the Core may equip students with the knowledge of Western civilization as it is—predominantly white and Anglo-American—it echoes the biases of today’s society, marginalizing and othering students, writers, and scholars of color in a predominantly white, male academia. Adding one more minority writer and minority text is never going to divorce the notion of “the other” from the broader Core. Now all of this isn’t to say that the Core has no hope. I, too, believe in the value of shared experience, but as of current, the Core—along with many other aspects of student life at Columbia—needs to be reformed. Let us talk about the Core and not forget about its history. Let us talk about the Core with an honest vision of equal justice. 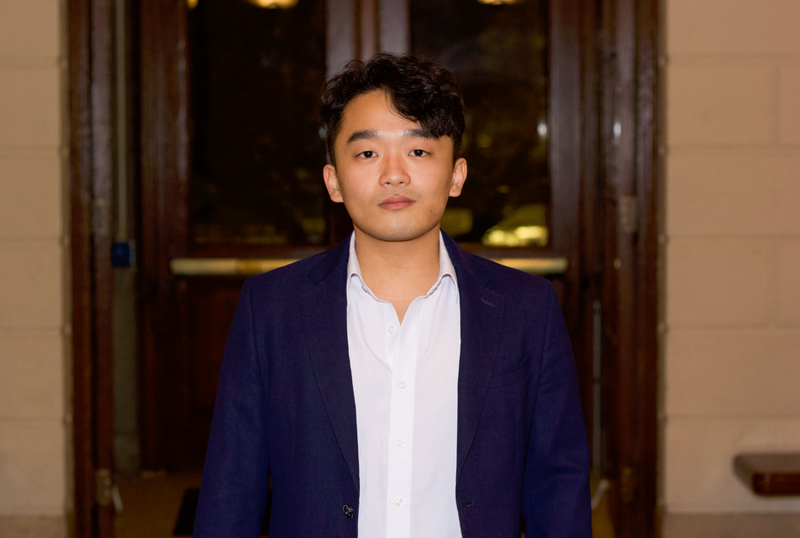 The author is a junior in Columbia College studying History and Political Science. Since his first year at Columbia, he has been part of the Columbia University & Slavery project. This past summer—with Professor Karl Jacoby as his adviser—Song created the Columbia University History Tour Initiative, an ongoing research project on the marginalized narratives of the University that provides a self-guided walking tour of the Morningside campus through a website and mobile app. Sponsored by the History Department, the CU History Tour Initiative aims to eventually cover all campuses of Columbia.